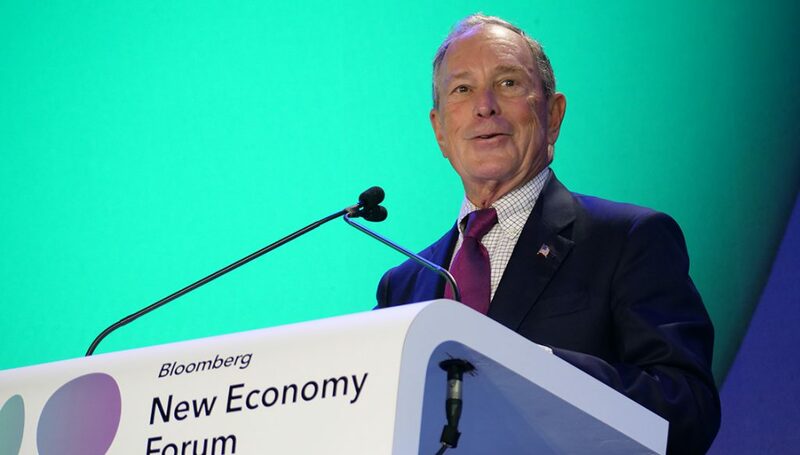 The global economy is at an inflection point, Michael Bloomberg established a new international platform to seize this moment through engaging a community of leaders from around the world to collaborate on actionable solutions. November 6-7, 2018, the inaugural New Economy Forum held in Capella, Singapore this month assembled a group of 400 world leaders and global CEOs to discuss today’s most pressing challenges in regard to Finance & Capital Markets, Trade, Global Governance, Climate, Urbanization, Inclusion, Technology, aiming to bring about action plans to create a thriving, inclusive, new global economy. Photo of Michael Bloomberg © Bloomberg L.P.
“We have to do more to ensure that the benefits of a growing economy are spread far and wide; we have to do more to equip people with the skills they need to succeed in a changing economy; we have to do more to ensure equal opportunities for women and other groups that have traditionally been left out or marginalized; and, we have to do more to reduce carbon emissions, so that we can avoid the worst impacts of climate change. The private sector has a critical role to play in meeting all of these challenges – and many others. The more that business leaders talk with one another – and take the lead in building new partnerships – the faster we can make progress. That kind of dialogue doesn’t happen enough. And this forum is a chance to help fix that. Over the course of today and tomorrow, we’ll meet to talk about specific issues that the private sector can help us address – and that we will continue working on together after the forum has concluded. We will have 20 separate, in-depth solutions workshops and roundtable discussions, hosted by prominent leaders from business and government. At the Forum’s Closing Session “A Year Ahead”, the conversations were shifted to the future. Three NextGen leaders including housing development sector’s social enterprise Fluxus LLC CEO Fanyu Lin, impact investment sector’s Obvious Ventures Co-Founder Vishal Vasishth, and virtual reality sector’s unicorn Improbable CEO Herman Narula presented their works and joined the discussion on how to get ready to meet as yet undefined challenges with three exceptional world leaders including Michael Bloomberg, Managing Director of International Monetary Fund Christine Lagarde, and Singapore’s Deputy Prime Minister Tharman Shanmugaratnam. 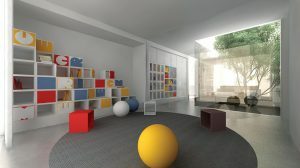 Fanyu Lin discussed eco-friendly prefab housing solutions and how sustainable businesses are disrupting legacy industry. Photo of Fanyu Lin © Bloomberg L.P.
DPM Tharman Shanmugaratnam was talking about how we have to prepare for the future, some of these companies are already doing just that. One of the issues as well fringing is housing. Fanyu Lin, now it is a case of an architect looking for a solution for the future – Prefab Housing – pretty much for the low-income communities, and your idea, your story started 10 years ago, when the Sichuan earthquake stroke China. Tell us about it. Thank you. I am an architect. When I worked on the post-disaster reconstruction after the 2008 Sichuan earthquake near my hometown in Chengdu, China, at that time I realized the need for resilient and healthy cities and quality housing is particularly urgent. And more deeply, I realized the need for “compassion”. To provide housing solutions to the crises that many nations are experiencing now, we know the old way of building is not going to work any longer, and we need to create beautiful spaces for people to be able to afford to live in and for them to be proud to call their “home”. We need to build housing more effectively, sustainably and scalably. So at Fluxus, our company, we leverage the innovations in modern building materials, intelligent design, prefabrication, industrialization and digitalization of construction process to make the whole process really very efficient, based on a minimum number of components. So you can imagine the whole supply chain is very streamlined, and it’s for lean construction. The point is to provide a very beautiful product for people, especially vulnerable populations, for low income families, for young people, and for other marginalized populations, to empower them to advance from being dependent to independent. We believe by reconstructing the housing value chain coupled with viable financing vehicles, we can really deliver very effective, very profitable solutions to tackle this multi-trillion dollar underserved market. So in a way solutions for the short term can also be solutions for the future, and in the end, I think they stand out there. The companies that look at the big social problems in the world, will be the most successful companies in the future. These go back to a number of things, which is sustainability, which is longer term verses short term perspectives. Do you think companies, countries, want quick fixes instead of actually planning for the future? 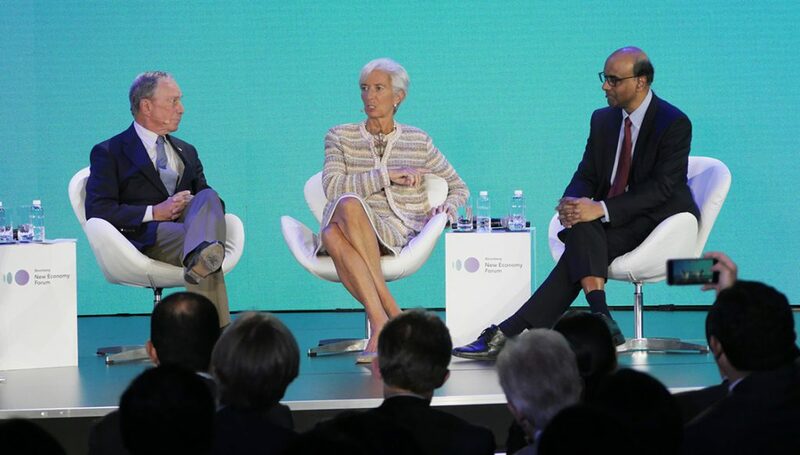 Photo of Michael Bloomberg, Christine Lagarde, Tharman Shanmugaratnam © Bloomberg L.P.
At least in the America, we are shortening our time span. Next budget resolution as far as what the government plans, most of us can’t figure out what we are going to do tomorrow, we threw away a lot of long term planning, there are a lot of pressure in schools to get through and get out there. I think that we are in big trouble when we keep kids from listening to things that they don’t want to listen to, when we have triggers, micro-aggressions on campuses. It’s time to regroup here, and say ok, let businesses go out and make money and provide products that people want to buy, and then let’s have government look at the private sector for new ideas and then try to go implement them fairly with “diversity” and some “compassion”. 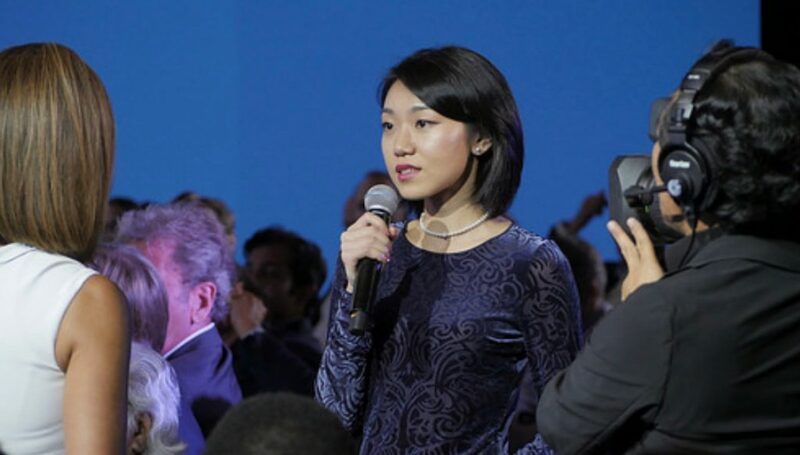 Can I say something about what this young architect just described, because as she was finishing, I wanted to shout to her “Go global please”, and as quickly as you can, and I hope you are global already, which is a blessing, because what you are proposing is going to be so badly needed. When we look today, and that’s part of the work we have to do, to look at where we need to help, where we need to provide technical assistance. And you put together maps, like a hamburger, slice of tomato, slice of meat, slice of cheese…, so you put the map of the world, you put areas with massive demographic threats by expanding populations with no education, no health in place; you put on top of that the map of agriculture resources; you put on top the map of security threats and terrorism; and you put on the top of it the climate change threats, and you typically end up with the very same countries, that will be so badly in need of those housings you have described, and many other things that will be very much needed, and where we have a lot of young population. Madame Lagarde, is it difficult to quantify how all of these changes at the end of the day impact our economic growth? I am tempted to say that any innovation, most innovation, are likely to improve productivity, productivity is going to contribute to growth, and growth, as my grandmother used to say, everything is better with butter, another grandmother is saying that as well somewhere I’m sure. But everything is better and easier with growth, you reduce that, you deal with many of the issues that are debated, so I think it is more of the issue of the “moral compass”. And how you build this compass, so you protect it, you secure it and you educate it, you inform it, maybe with different narratives, maybe with different ways of reaching out to people’s cortex. The Forum’s solutions workshops and discussions concluded in pledges to innovative solutions private sector leaders made, which are designed to be brought to fruition over the next year through the “Solutions Lab” that 70 organizations joined. Read more at Bloomberg blog. The purpose of business has to evolve to a more globally consistent mindset. In less developed regions, businesses are nurtured for the purpose of quelling civil unrest. In developed regions, businesses are nurtured for the purpose of creating wealth. More and more, forward thinking people call for nurturing businesses for the purpose of enhancing the quality of life. This implies that a change in business performance metrics is needed to incentivize businesses to shift in this direction. If favorable financing terms are given to companies which show exceptional promise in delivering “quality of life” solutions, higher valuations should follow and the sector would grow in relevance. Building a business of compassion is not an easy task, but we are not alone. Social contract and responsibility will be a new normal for businesses guided by long term visions for sustainable development, where social, environmental and financial returns are all valued. We are well aware of the societal trend toward urbanization, as well as it’s economic implications. Often overlooked in these statistics are the challenges faced by working low-income households. As cities grow larger and competition for space increases, low income families are often pushed to live in the city’s lowest quality and least efficiency efficient building stock. By today’s standards, these homes are more than 50% less efficient than new homes. Simply upgrading low income households to today’s energy standards, potentially could reduce annual global CO2 emissions by 300+ million metric tons per year. The low income housing market is an 9-12 trillion dollar underserved and underperforming market, with a large environmental footprint. 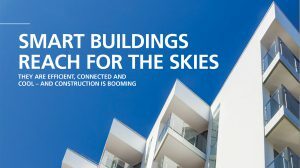 Through intelligent design, industrialized construction processes with digital innovation, we can deliver solutions to this market sector profitably at scale. It is through scale that the net zero energy use and zero emission demonstration homes that we see today will become affordable for the masses. We have the tools to make an impact without taking on significant technical or business risk. It’s an elegantly simple but powerful strategy to achieve more by doing less. Housing in Super Cities became more and more cost inhibitive. In order to attract and retain talents, the public sector can unlock the land to work with private developers to provide good quality and affordable housing products within cities for talents, first time homebuyers, millennials, Generation Z. The traditional civic leader is ill equipped to manage the complexity megacities bring. There must be investment in training and in leadership mentoring. Megacities should try to create competence clusters that leverage their unique capabilities. Universities, businesses, government agencies need to combine forces to attract and keep talent. City leaders might coached to consider hosting interdisciplinary workshops to address common issues such as housing shortages, infrastructure etc. While each city needs to establish its own strategic plan, most of the elements are the same for all cities. This sort of playbook approach is very effective in change management. Each city has a roadmap to guide investments. Sustainability metrics should be incorporated into their decision process if it’s not already there. Incentives go a long way to encouraging proper behaviors. A city official for example is not usually rewarded for taking risks nor for long term thinking. Chambers of Commerce, community centers and other resources all need to get on the same page as well. For Fluxus’ part, we’d want to invest our time in helping urban planners develop their long term housing plans. This would create a logical place for us to go, understand the opportunities and propose solutions. Small businesses are the key to driving innovation in this sector. A shift in incubator thinking from revenue generation to operational excellence may be needed. Unfortunately, the green finance community is rather risk adverse. Private-public sector partnerships may be a good mechanism to mitigate risks. Green banks should consider playing a more prominent role in establishing and governing the Special Purpose Vehicles that arise out of these programs. 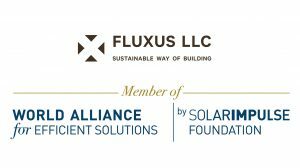 It certainly would help companies like Fluxus gain more access to talent and resources to develop and deploy innovative green technologies. We look forward to engaging with more world leaders from private and public sectors to jointly transform this legacy industry, to tackle housing crisis, which is becoming one of the economically, politically, and morally the biggest challenges facing humanity today. According to the ancient scholars, 4 essential elements are needed for happiness: Truth, Beauty, Community and Identity. First is truth, people need to see their lives have real meaning and their actions have real impact. Second is beauty, the aesthetic dimension requires that things be done in an eloquent way that is pleasing to the general society, Third is community, there is a compelling need to belong, to be part of something. Fourth is identity, we all need to feel we are each special and valued for our individual differences. As megacities grow in number and size, residents will more closely identify with their city than their nation. These large cities will be composed of multiple communities. City leaders will need to look to make sure each community embraces and provide resources to provide these “essential happiness” needs. Otherwise, given their close proximity, civil unrest could become a problematic issue. It is important for city leaders to help connect communities to innovative solution providers so they buy in and enable development in a favorable direction. Founding Partner Lunch hosted by Masayoshi Son, Chairman and CEO of Softbank Group Corp.
With digitalization, automation and AI, businesses may require substantially less manpower to deliver goods and services as they once did. This may be an early sign that employment may fundamentally change, that labor may be more fluid in the future. Networks will form and dismantle more rapidly. Similarly, the shared economy could also be headwinds toward capital investment in city centers. There will be winners and losers. E.g. Fewer vehicle owners, more transportation service providers. This signifies that revenue streams to manage cities will change substantially. There may be fewer dollars for infrastructure and services. City governments will need to become much more efficient. Business models leveraging digitization will increase in importance. The human-machine integration is an inevitable trend, rather than holding a fear-based attitude, we need to collaborate, advance and evolve together with AI through trust-based approaches, and share with AI our core human values. 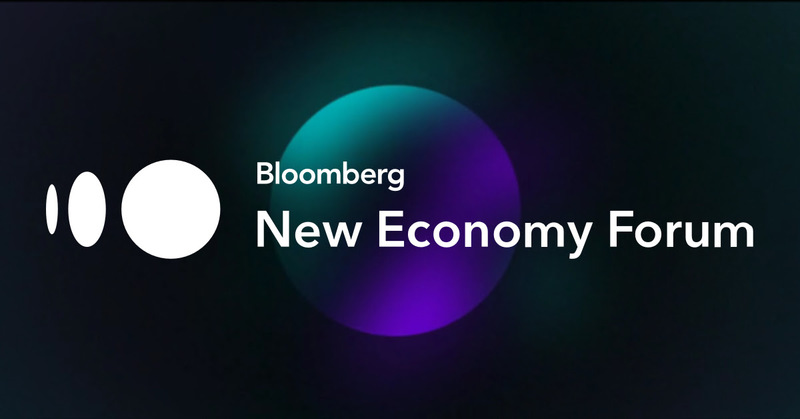 Established in 2018 by Michael Bloomberg, the New Economy Forum is a community of global leaders engaging with the world’s most significant changes and challenges. The inaugural event was held in Singapore on November 6-7, 2018. A global event covers global governance, trade, technology, urbanization, capital markets, climate, and inclusion. Participants in the forum span the globe—East to West—fully embracing its inclusive vision. Learn more about New Economy Forum’s Partners, Advisors, Speakers and Agenda.